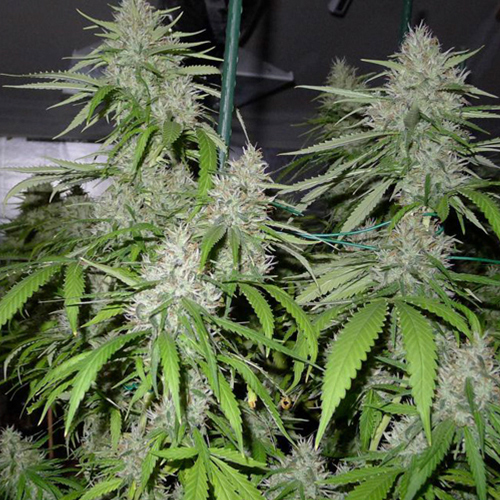 Thanks to the hard work of Neuro Seeds Class geneticists and neurobiologists, Auto Amnesia has become very strong plant that grows very rapidly, with large leaves characteristic for Sativa phenotype. This new variety is specially bred by the best specialists in neuroscience and genetics. Internodes distance facilitates lighting throughout the plant, which results in large size of the inflorescences. This variety with dominated characteristics of Sativa proves itself well during growth. This variety has flavor of incense and gives a very strong cerebral effect that distinguish it from other auto-flowering varieties. You need to monitor the growth of the plants indoor, because it gets really high, up to 5 meters when grown in good conditions. 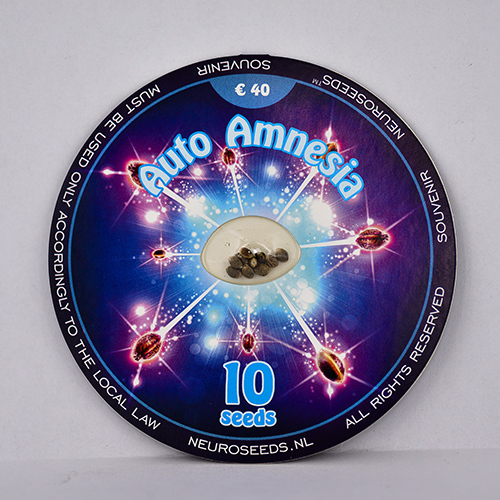 Auto Amnesia matures gradually, and may require 85 days, but waiting is worth it - yields are up to 150 grams per plant under ideal growing conditions. When using this variety, you will experience energy recovery, sense of euphoria, well-being and relaxation. Neuro Seeds geneticists tried to make this strain optimally therapeutic. Patients who use Auto Amnesia medical cannabis can find relief from depression, insomnia, fatigue, pain, stress, anxiety, attention deficit hyperactivity disorder, migraine, PMS, and bipolar disorder.